Schedules of Condition and Dilapidations are reports that are issued to tenants and landlords who are entering or ending lease agreements. Lease agreements and especially the repair clauses within a lease agreement vary according to a number of factors. It is important that all lease agreements are drawn up by an appropriate person. Schedules of Condition and Dilapidations are intended to identify, with the assistance of photographic evidence, the condition of a building to which the lease relates. A schedule of condition is a record of the condition of a property that takes into consideration the repairing terms of the lease and is usually prepared for tenants prior to taking occupation of the property/building, or upon lease renewal. A dilapidation report is used by Landlords to assess the condition of a property/building at the end of a lease to determine any repairs required in line with the terms of the lease. The use of a dilapidation report can save time and money when a lease comes to an end by identifying repairs required by the outgoing tenant that are to be completed in line with the terms of the lease. A dilapidation report is a clear record (with photos) that shows the condition of a property at a specific time and date. Before taking a lease or renewing a lease by having the property checked prior to this the tenant can reduce the risk of dispute in terms of repair and condition when the tenancy comes to an end. The risk of dispute is reduced meaning thousands of pounds can be saved in legal fees and surveyor fees if a dispute takes place. The schedule of condition will state the exact condition of the property prior to occupation/lease renewal so that it can be left in the same/better state when the lease comes to an end. 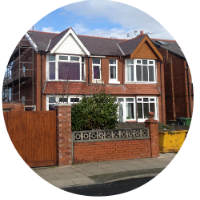 If you would like more information on our Schedules of Condition and Dilapidation Reports service provided by our Chartered Surveyors then please feel free to contact us.